Dan and Horace reflect on the Osbourne effect of Windows Phone 8 on Nokia and how to value a company in distress. In particular, we talk about the potential of a Microsoft acquisition and the conditions needed to make it happen. Horace takes two reader questions: How did Samsung succeed while other vendors failed with Android and what are the pitfalls that could cause Apple to stumble. via 5by5 | The Critical Path #44: White Knights and White Nights. There is no shortage of information about what happens to companies in distress. The cause of distress varies widely and is often not well understood but the actions and symptoms of distress are very consistent. We can look at examples in each industry, even in each product category for a rich set of distressed company data. 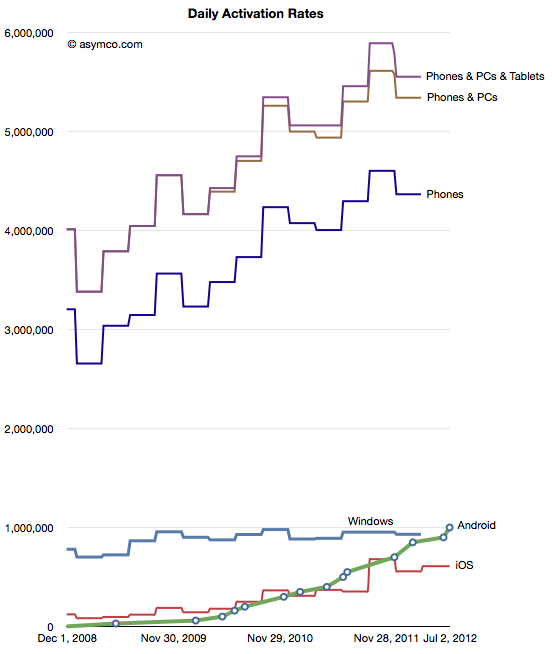 For over a year I’ve been chronicling the decline of incumbents in the mobile phone industry. However, decline cannot continue indefinitely. At some point a company “exits” the industry. Either through a sale or divestiture or, rarely bankruptcy. The list of exits is already long. The length and the correlation between exit and the lack of recovery implies that Nokia will also exit. Will Nokia be acquired? If so, then by whom? What other options exist? How can we analyze this? In the five years since the iPhone launched, Apple created a total of 35,852 retail jobs. Some of those jobs came from new store openings. The total store count went from 172 to 361, more than doubling. But the growth in employment was faster: from about 6400 to 42,200, more than quintupling. This is reflected in the total number of employees per store which increased from 37 in Q1 2007 to 117 in Q1 2012. 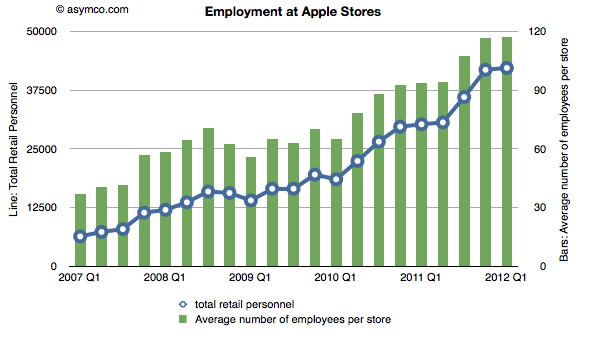 Which brings up an obvious question: Why did Apple triple employment at each store? HD: Apps are like the sauce in a dish. They add flavor and distinguish the dish. Increasingly they also offer nourishment. Some would argue that we can live with plain cooking but spices drove people to do incredible things like risking life to discover new continents. Being the world’s best source for spices means the most innovative and brilliant minds will be attracted to innovate on top of Apple’s platforms. 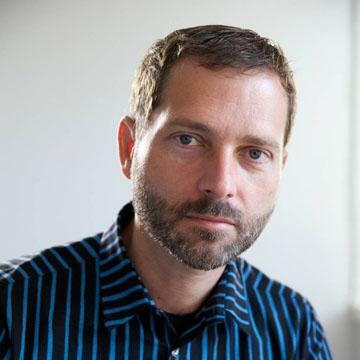 Read more of the interview by Markin Abras here: MacDirectory: Exclusive | Apple’s iOS Market Analysis. Sarah wakes up, prepares a full breakfast, and fires up her standard suite for design. Two new, time-consuming projects this week — it’s time to start planning much further than was previously warranted. Should’ve started yesterday. OmniPlan for iPad is perfect for this. An intuitive interface keeps unnecessary controls out of your way until you need them, and you don’t have to become an expert in another field. It’s just Sarah, three months of work, and a beautiful timeline to keep her studio of one on track. Available in the App Store for $50. Horace and Dan look at Microsoft’s Surface through disruption colored lenses. First, the ongoing evolution of the computing value chain and how it foretold us of Surface. Second, how the economics of Microsoft’s businesses makes Surface compelling. We also begin a new segment tentatively called “Reader Questions”. This time it’s education: is it disruptable? If so how can we tell and where will it lead us? via 5by5 | The Critical Path #43: We’ll take it from here. Who will be Microsoft's Tim Cook? So the emergent successful business architecture in this technologically transitional period is of integration and completeness of solutions. This shift explains at least at a conceptual level Microsoft’s tectonic Surface shift. But what about another point of view? What does integration mean for Microsoft’s income, cost and profit structure? Is integration self-disruptive to Microsoft? The challenge of devices for Microsoft is that the licensing of software for devices is very difficult to sell.